Are you a business owner in Preston? Are you looking for creative business designs such as postcards and business cards that will help to propel your business to the next level? Well, PWD Creative is here to help you realise your dream! Whether you need banners, flyers, or any other a marketing media for your business marketing campaigns, we shall be there to ensure that you never miss a thing. Our digital printing techniques allow our customers to select almost any paper for your custom business prints. Since banners are a versatile and affordable way to advertise your business in Preston, we design and print attractive banners that can easily convert potential clients. You can use our banners to announce special discounts and promotional offers. You can use our banners both indoors and outdoors and for an extended period. This is one of the most cost-effective ways of advertising your business in Preston. You can also bring us your own artwork for printing or work with our in-house design team to create something unique that will attract potential clients to your business. There is no better way of attracting instant attraction to your business other than well-designed posters in Preston. Business posters provide an effective business marketing tool that can easily target your audience. They are also an effective way of advertising discounts and promotional offers. We offer quality poster printing in Preston that will add a unique flair to your marketing campaign. 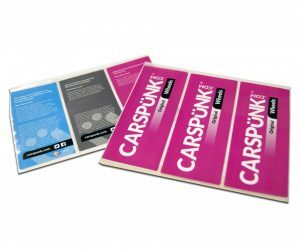 All our posters are printed on premium poster paper or PVC for outdoor use. Just like the banner and poster printing in Preston, we can also design for you unique business cards that will help you push your brand to your prospective clients. In fact, one of the best ways for any business to attract attention from potential clients is to create attractive business cards. Our business cards stick to essentials while ensuring that we create intrigue to arouse your target audience’s curiosity. This will encourage them to engage with your brand further leading to sales. We also do custom leaflet design and printing that can help you hit your target. All our services are affordable and unique. All our products are designed to offer your business a competitive advantage and help push it to the next level. Since we print all of our digital products in-house, we keep a close eye on quality. Talk to us today by calling us on 01772 312554 and let us take care of digital printing needs.